This past Friday-Sunday Darrell and I competed together as a team again for a second time. Having never competed together before we had some hiccups. This year those problems were all but gone. There were some new teams this year too and it seemed most teams had raised the bar in terms of skill. We took second place. Third was a good 900 points behind us, and we were behind 1st by about 550 points after the four field courses. A local team took first this year. They are both great guys and great field shooters. The biggest and most costly point wise for us, was that my barrel was to thin and when I had to shoot long strings of 14+ shots at distance in heat, accuracy went down. That will be fixed for sure! We already knew that this was likely going to be a problem. But we went with what we had. The other hitch was that my brake came loose during the end of course 4 (long range again of course). Again a issue that will be easily solved. Plan on using the 7 LRM again next year. My Glock 17 with the Leupold DeltaPoint did great out to 60+ yards. Darrell and I had a great time together and we enjoyed renewing friendships from years past. 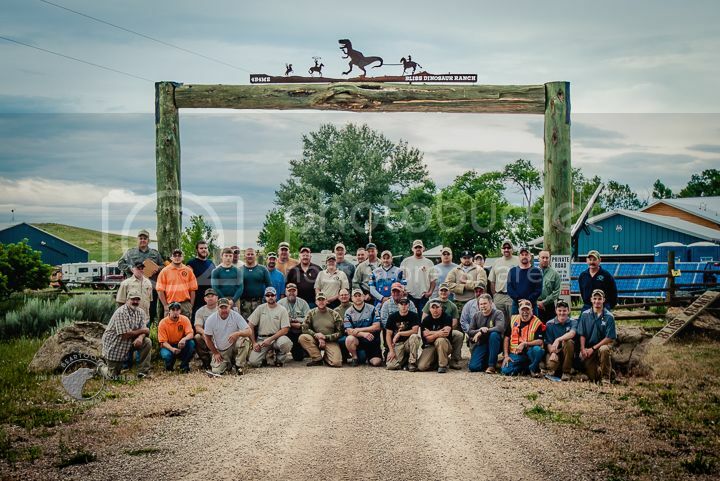 It is a great group of guys. We need to get a couple G&A teams to come out and play. You will have a lot of fun and meet a lot of great people. What distances did you shoot at and why did you need a Glock for a tactical rifle shoot? Good deal. Glad you guys did well. How many teams were there this year? Most targets are 10" square steel, with a good number 5" upside down triangles. Precision is out to 1000 yards with bonus targets being further. 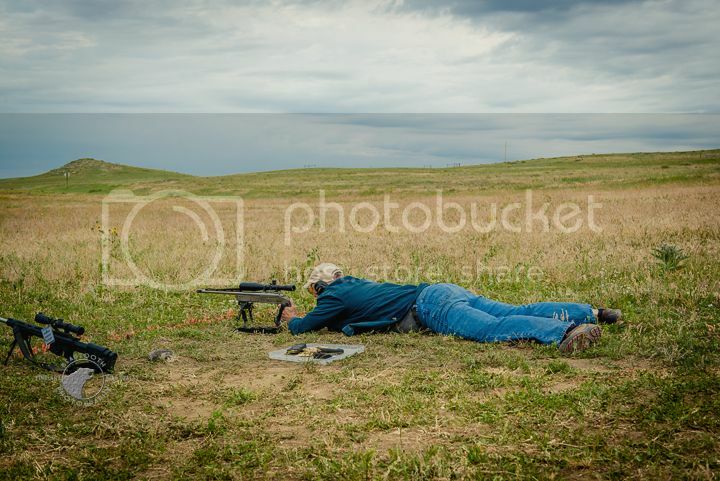 Some targets cannot be engaged (Viewed) from the prone position. Others are hidden pretty good! But, I have to ask. Were you "Tactical" during your participation in this event? Uh, Uh, Uh, I wore blue jeans one day. Does that make me tactical? Dang, I wuz looking fer a heard of buffalo on your first two pics or some Injins! That is what you call wide open spaces for sure. I don't know if irritate is the word. I would say most of them realize what a SP can do. It becomes more about who is spotting and shooting. The one area where a SP is a negative is the time it takes to reacquire for your second shot and that I cannot spot my own shots. 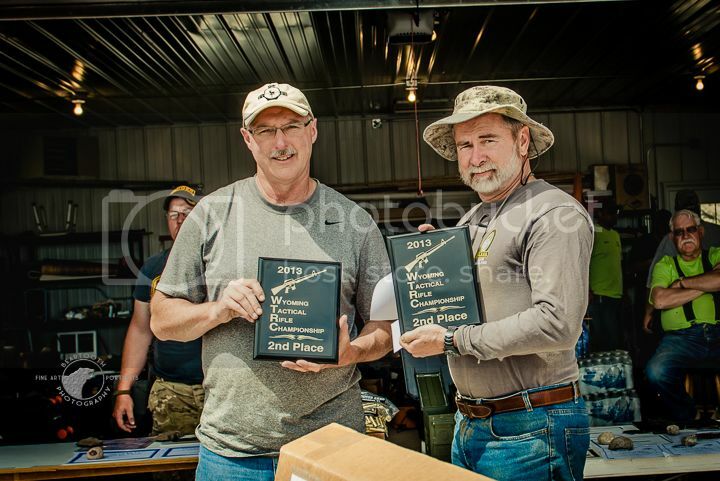 So you took 2nd in a RIFLE competition with a pistol? That's gotta irritate the rifle guys. 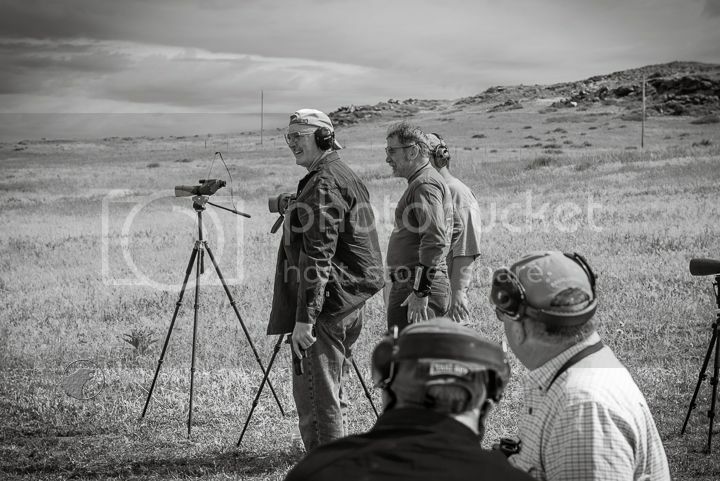 We shoot in some tighter area as well, but it is wide open country. Really appreciate Ken Stoecklin coming up from Casper and taking a lot of pictures. He took all the ones above from the team on team part. I will try to post some other pics later on. It looks like a great way to spend time. Love the pics.